LONDON, England -- Three of Ukraine’s richest men are engaged in a multibillion dollar legal battle in London. It is the latest example of big-ticket litigation in the UK between oligarchs who amassed wealth after the Soviet Union’s collapse. 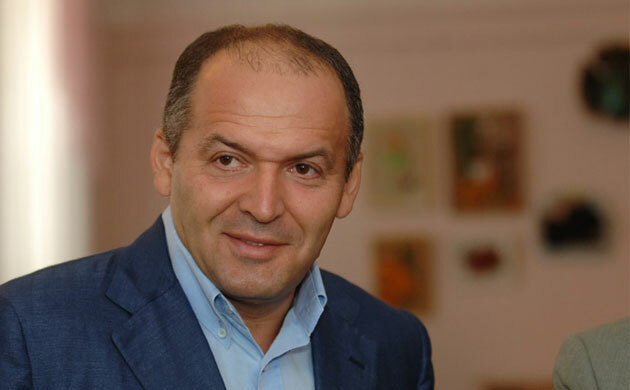 Victor Pinchuk, a former Ukrainian politician whose interests range from metals to media and who numbers Elton John and Tony Blair among his contacts, is suing two other magnates, Gennadiy Bogolyubov and Igor Kolomoisky, for alleged breach of contract and trust, according to court papers filed in London that became public this week. Through a web of offshore companies, Mr Bogolyubov and Mr Kolomoisky jointly control a large share of Ukraine’s iron alloy, ore and petroleum businesses. They co-own London-listed oil producer JKX Oil & Gas, one of Ukraine’s largest banks and industrial assets from Russia to Australia. Mr Pinchuk, whose fortune Forbes estimated to be $3.8 billion, follows in a path trodden by other tycoons from the former Soviet Union who have gone to law in London, including Boris Berezovsky, the Russian fugitive who unsuccessfully sued his former protégé, Roman Abramovich, in 2011 before Berezovsky’s death this year. The stakes are high: the value of KZhRK, the state iron-ore company privatised in 2004 which is at the centre of the lawsuit, and allegedly lost dividends, could exceed $2 billion. Mr Pinchuk maintains that the defendants held in trust a controlling stake in KZhRK through an offshore company, for which he paid $143 million, and that they reneged on their agreement, which was mainly made orally, he maintains. If the case reaches trial it could underscore how a select few in Ukraine struck it super-rich acquiring lucrative industrial assets privatised during the 1990s and early 2000s. Rinat Akhmetov, Ukraine’s richest man, is said by Mr Pinchuk to have been witness to oral agreements. But in a case where documentary evidence is scant, much emphasis will be laid on the credibility of Mr Pinchuk. The risk of a dispute centred on oral agreements was laid bare in the case of Berezovsky, who was labelled “an unimpressive, and inherently unreliable, witness” in Lady Justice Gloster’s withering judgment. London cases brought by oligarchs have not had a high success rate: they have either been lost, as was the case for Berezovsky, or they settled, as happened in the litigation between aluminium magnate Oleg Deripaska and his former associate, Michael Cherney. Mr Bogolyubov maintained that his residence in London’s Belgravia has been “used” by Mr Pinchuk as a basis to bring the case within the English courts’ jurisdiction. However, he acknowledged the attractions of litigating in the UK – a fact not lost on British politicians who have heavily promoted England’s legal system. “The London courts are considered the most objective and fair,” Mr Bogolyubov said. Neither of the defendants has yet filed an official response to Mr Pinchuk’s claim. Mr Kolomoisky, who is based in Switzerland, did not respond to requests for comment.